Long Island art show coming up! 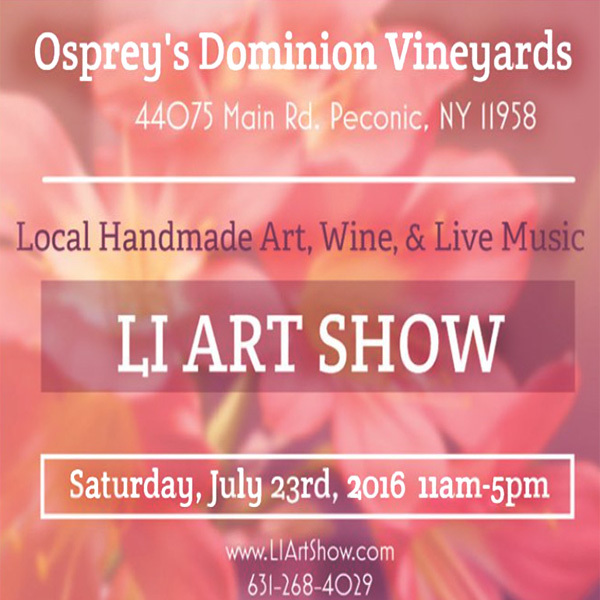 This weekend I am participating in my second show organized by LI Art Show! I and other local artists will be there all day with live music and wine! Family (and dogs!) welcome and hopefully the sun will be shining! I will be showcasing some of my work and will have have prints on hand for those interested!